HP has announced their new president and CEO: Léo Apotheker. Apotheker comes to HP after serving as the CEO for SAP, the German company that specializes in enterprise-class applications and software. Apotheker takes over on November 1st. He's a surprise pick to us - we guess we'll see if this man with 20 years of enterprise-class experience can continue HP's success in the consumer space. If nothing else, this bring the Mark Hurd saga to a close. PALO ALTO, Calif.--(BUSINESS WIRE)--The Board of Directors of HP (NYSE: HPQ) today announced the election of Léo Apotheker as Chief Executive Officer and President. Apotheker, who previously served as CEO of SAP, will also join HP’s Board of Directors. The Board also elected Ray Lane, Managing Partner at Kleiner Perkins Caufield & Byers, as a new member of the Board and designated him as non-executive Chairman. Both elections are effective November 1. During Apotheker’s more than 20 years at SAP, he was a driving force in making it the largest business software applications company in the world. Apotheker helped develop and implement the most significant changes in SAP history. During his tenure, he transformed R&D and technology platforms and expanded business models and customer segments. Apotheker also helped lead SAP to 18 consecutive quarters of double-digit software revenue growth between 2004 and 2009. Lane has served on the Board of Directors of more than 20 public and private companies and joined Kleiner Perkins in 2000. Previously, he served as President and Chief Operating Officer at Oracle Corporation. Earlier in his career, Lane also worked at Booz Allen Hamilton, EDS and IBM. It is recommended that attendees dial in 15 minutes early to avoid registration delays. Apotheker worked at SAP for more than 20 years in a variety of positions, most recently as Chief Executive Officer. As a member of SAP’s Executive Board from 2002 until 2010, Apotheker oversaw the full sweep of the company’s operations. He led worldwide sales, service, and field operations for five years and more than doubled the number of customers; successfully turned around SAP’s North American operations; and led more than a dozen acquisitions, including the approximately $7 billion takeover of Business Objects, the first major acquisition in SAP’s history. In addition to serving as co-CEO and CEO, Apotheker also previously served as deputy CEO, and, for five years, as President of Global Customer Solutions and Operations. For a period, he also had responsibility for SAP’s North American operations. From 1999 to 2002, he was President of SAP EMEA (Europe, Middle East and Africa); before that, served as CEO of South-West Europe Region; and was CEO and founder of SAP France and SAP Belgium. He started his career at SAP in 1988. 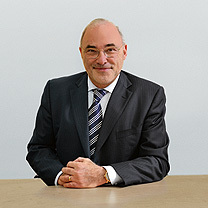 Apotheker was the founding president and chief operating officer of ECsoft BV, one of the largest European venture capital start-ups, from 1992 to 1994. He also has held leadership and management positions at ABP Partners, McCormack & Dodge Europe, S.W.I.F.T. and Altex GmbH. Apotheker was born in Aachen, Germany on September 18, 1953, and graduated with a BA in Economics and International Relations from Hebrew University, Jerusalem. He is fluent in five languages (English, Dutch, French, German and Hebrew) and was awarded the French Légion d’honneur in 2007 in recognition of his business leadership and contribution to the French economy. Apotheker currently serves as Vice Chairman of the Supervisory Board of Schneider Electric SA, and is a member of the Board of Directors of GT Nexus and the Board of PlaNet Finance, a not-for-profit organization. Lane is a Managing Partner at Kleiner Perkins Caufield & Byers. He sits on the boards of Fisker Automotive, GreatPoint Energy, Luca Technologies, Xsigo, Elance and Quest Software. Prior to KPCB, he was President and Chief Operating Officer of Oracle. Before joining Oracle, Lane was a Senior Partner with Booz Allen Hamilton and led that firm’s Information Technology practice worldwide. Prior to Booz Allen Hamilton, he served as Division Vice President with EDS. In addition, he spent ten years with IBM in various product management, sales, and marketing positions. Lane received a bachelor’s degree in mathematics and an honorary PhD in science from West Virginia University. He serves as Chairman of the Board of Trustees of Carnegie Mellon University, is on the Board of Governors of WVU, and serves as Vice Chairman of Special Olympics International. HP creates new possibilities for technology to have a meaningful impact on people, businesses, governments and society. The world’s largest technology company, HP brings together a portfolio that spans printing, personal computing, software, services and IT infrastructure to solve customer problems. More information about HP is available at http://www.hp.com. This news release contains forward-looking statements that involve risks, uncertainties and assumptions. If such risks or uncertainties materialize or such assumptions prove incorrect, the results of HP and its consolidated subsidiaries could differ materially from those expressed or implied by such forward-looking statements and assumptions. All statements other than statements of historical fact are statements that could be deemed forward-looking statements, including but not limited to statements of the plans, strategies and objectives of management for future operations; any statements concerning expected development, performance or market share relating to products and services; any statements regarding anticipated operational and financial results; any statements of expectation or belief; and any statements of assumptions underlying any of the foregoing. Risks, uncertainties and assumptions include macroeconomic and geopolitical trends and events; the execution and performance of contracts by HP and its customers, suppliers and partners; the achievement of expected operational and financial results; and other risks that are described in HP’s Quarterly Report on Form 10-Q for the fiscal quarter ended July 31, 2010 and HP’s other filings with the Securities and Exchange Commission, including but not limited to HP’s Annual Report on Form 10-K for the fiscal year ended October 31, 2009. HP assumes no obligation and does not intend to update these forward-looking statements.